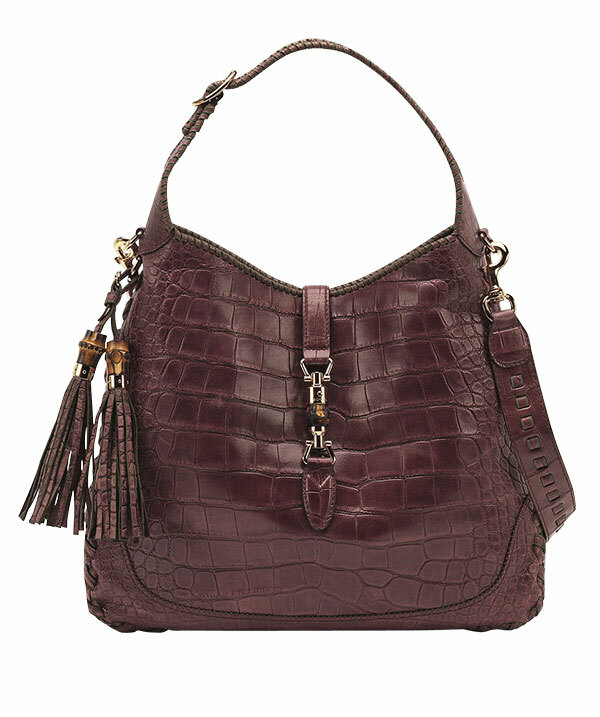 Create your own Gucci handbag from a choice of iconic styles, über-precious leathers, irresistible choice of colours and hardware…. A yearned-for exclusivity is no longer enough. Customisation is the new buzz term that underlines the season’s dressing and accessory requirements. It has to be one of a kind and just like you would want it. Exclusivity steeped in the iconic, the historic, and with the aura of exquisite craftsmanship, is what Gucci offers with the launch of its women’s Made to Order programme. Conceived by Creative Director Frida Giannini, this exclusive service includes the New Bamboo, the New Jackie and the Stirrup bags and features an incredible choice of exotic skins and colour combinations, underlining the House’s tradition of personalised luxury. 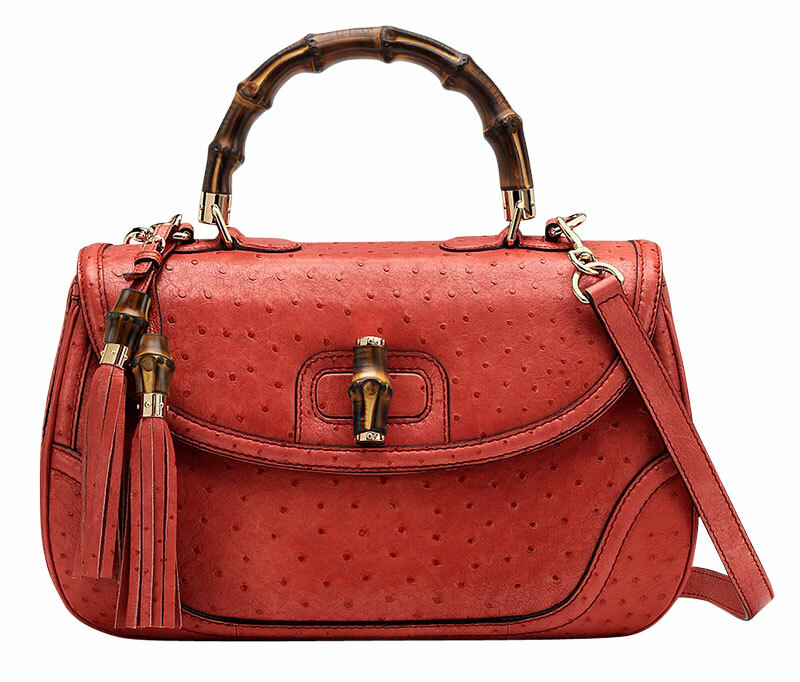 These signature styles are available upon order at select Gucci stores across the country, in ultra precious materials such as ostrich and crocodile. 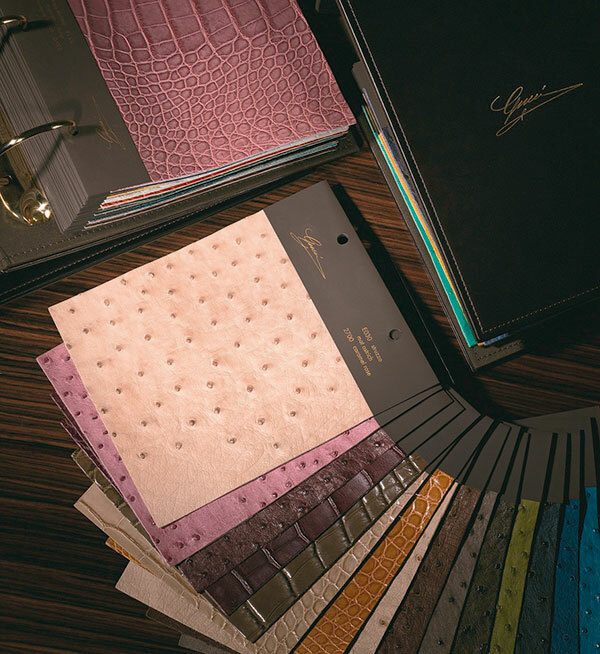 A selection of finishes has been made available for the crocodile skin, including shiny, metallic or matte effects. 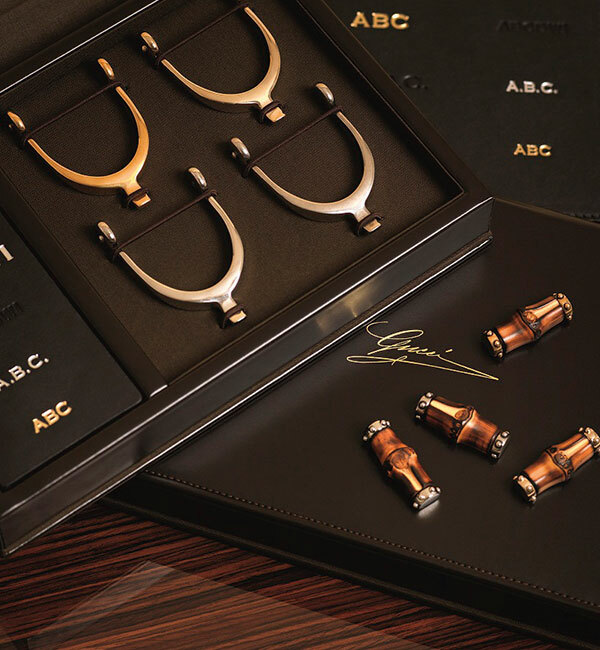 An array of metal details makes for luxury customisation – for instance the spur ornament and all other hardware components offer options in light gold and silver or antique gold and silver, depending upon the material selected. The colour palette remains sophisticated as well as timeless, in shades of azure blue, light grey and cocoa, moving to such vibrant hues as emerald green, pomegranate and saffron. Each Made to Order handbag is the result of detailed craftsmanship and manual techniques of Gucci’s artisans. These can be further complemented by Made to Order wallets in the same material, colour and finishing, including the zip around model with tassel and the Bamboo and Stirrup continental styles. Each item is available for personalisation with the customer’s initials on the interior, embossed in gold, silver or dry-stone. The delivery will include a special packaging with the Made to Order script. A word on the iconic bags would be in order here. The New Bamboo Bag was first created in 1947 and is a tribute to the acumen of Gucci’s craftsmen who were pushed to invent clever solutions to war-time rationing of materials, bending and polishing a piece of bamboo to create the now-iconic handle. The New Jackie Bag, first crafted in the 1950s, became the preferred accessory for Jacqueline Onassis, America’s former First Lady, so that the bag adopted the moniker, ‘The jackie’. The Stirrup Bag has been inspired by an iconic model from 1975 and is in a rigid frame style with an intricate construction. 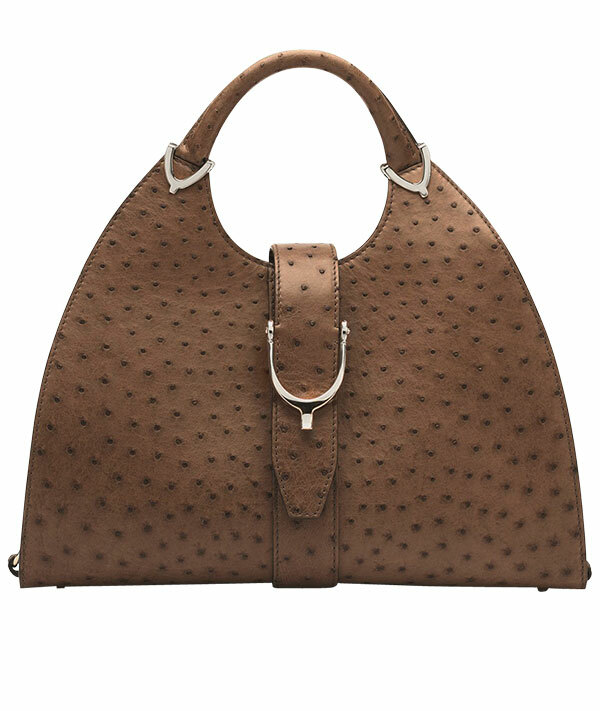 The overall shape evokes a stirrup and features a spur in light gold hardware on the front panel. Gucci’s Made to Order programme allows you, for the first time in India, to make these Gucci icons your very own….